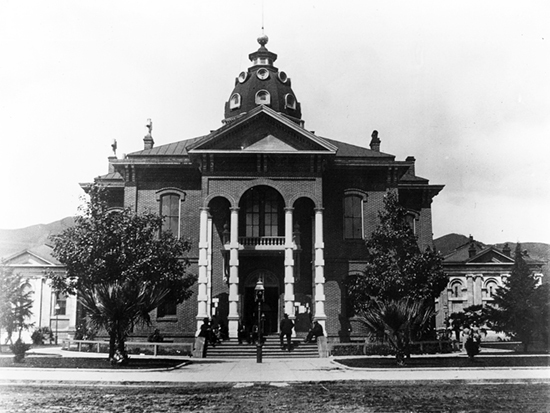 After winning out over rival cities for designation as the county seat, Ukiah built its first courthouse, a simple two-story brick building, in 1860. As the county prospered, officials commissioned a much grander building with two-story columns and a dome. Among the court's more dramatic trials was one in 1905 during which a man brought before the court on an insanity charge apparently was not searched and fatally shot the sheriff. The courthouse was demolished in 1950 to make way for a more modern building.